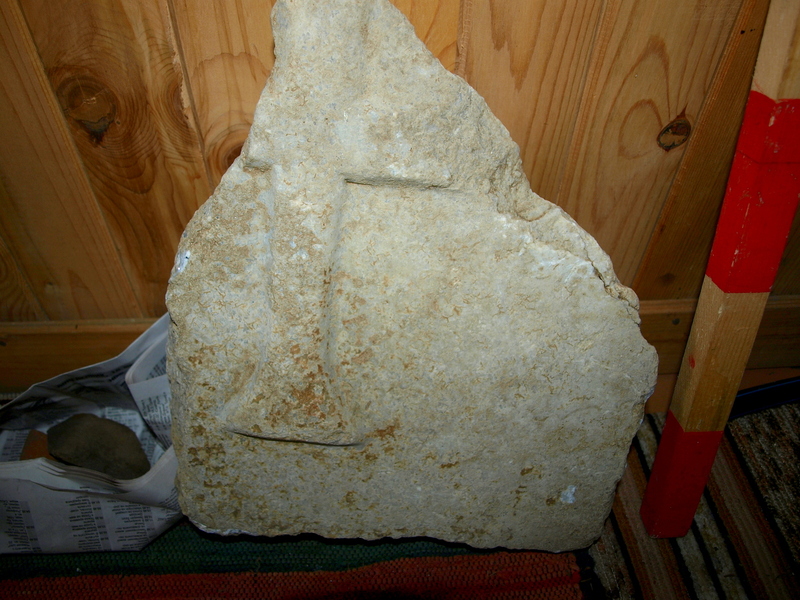 A child grave and number of intriguing archaeological artifacts including a large marble cross fragment have been discovered by archaeologists excavating an Early Christian basilica in an area known as Nikolitsa near the town of Rakitovo, Pazardzhik District, in the Rhodope Mountains in Southern Bulgaria. The Early Christian Basilica in Nikolitsa dates back to the 4th-5th century AD. 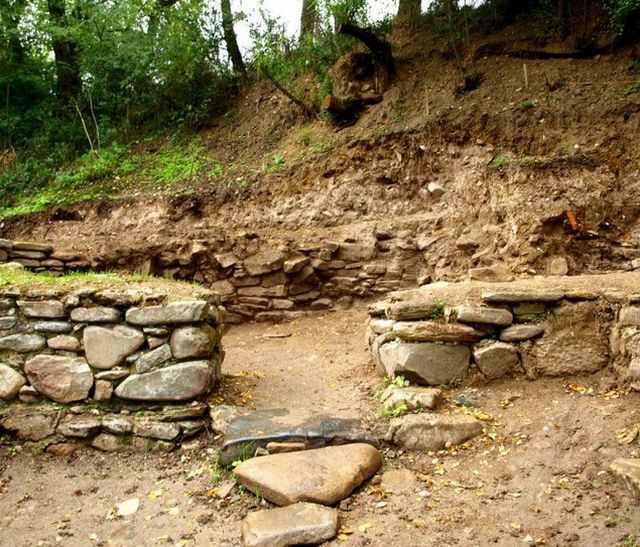 It was first excavated by archaeologists in the 1960s but in 2015 its excavations have been resumed, Rakitovo Municipality has announced. However, also in the 1960s, the archaeological site was badly damaged during the construction of the stadium of the town of Rakitovo. Nonetheless, the site continues to harbor the potential to yield lots of interesting archaeological finds, and the Municipality describes the renewed excavations of the Early Christian and Late Roman / Early Byzantine temple as “more than successful". The digs at the three-nave crossed-dome basilica have been led by archaeologist Asen Salkin from the Pazardzhik Regional Museum of History, with Dimitar Bayraktarov as his deputy. 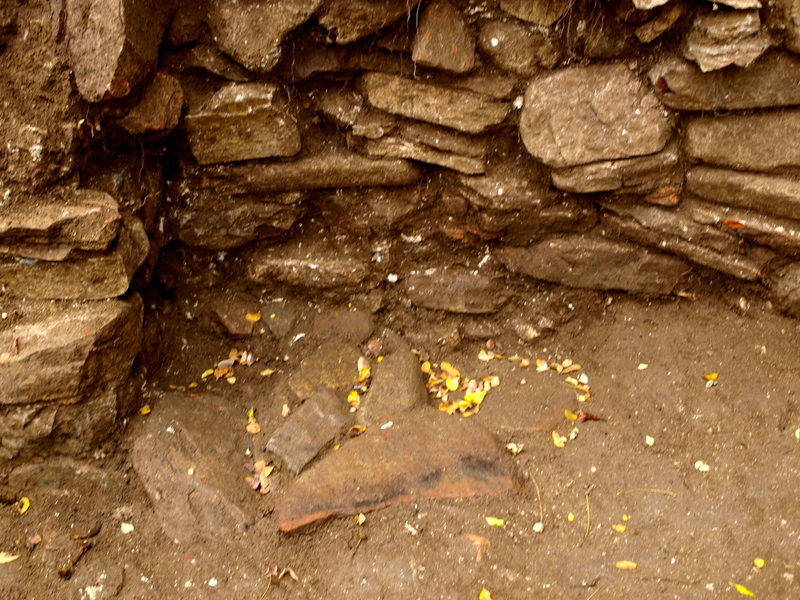 The archaeologists have now discovered a child funeral in a chamber located on the border between the basilica complex and the town stadium. This find has led them to believe that the modern-day stadium may have been built on top of the Early Christian necropolis that existed next to the temple. The child bones have been discovered in a chamber opposite a baptistery chamber of the same size and shape. Inside the chamber with the child funeral, the archaeologists have also found an iron cross which is 8 cm wide and 11 cm long; three Late Antiquity coins, a bronze earring, and a fragment from a marble cross which is believed to have been part of an altar. “These [finds] take us back to the Early Christian period. It is interesting to note that the basilica which was most probably built at the end of the 4th century, or the beginning of the 5th century, was in operation until the 17th-18th century," says Bayraktarov indicating that the temple survived well into the period of Ottoman Yoke, i.e. when Bulgaria was conquered by the Ottoman Turks and was part of the Ottoman Empire (1396-1878/1912). In his words, this shows that „during this early period the Chepino Valley (the largest valley in the Rhodope Mountains – editor’s note) had a large Christian community". Based on the latest excavations which have revealed more about the structure of the temple, he adds that the Early Christian basilica near Rakitovo is one of a total of four churches with similar architecture from the Late Antiquity period. 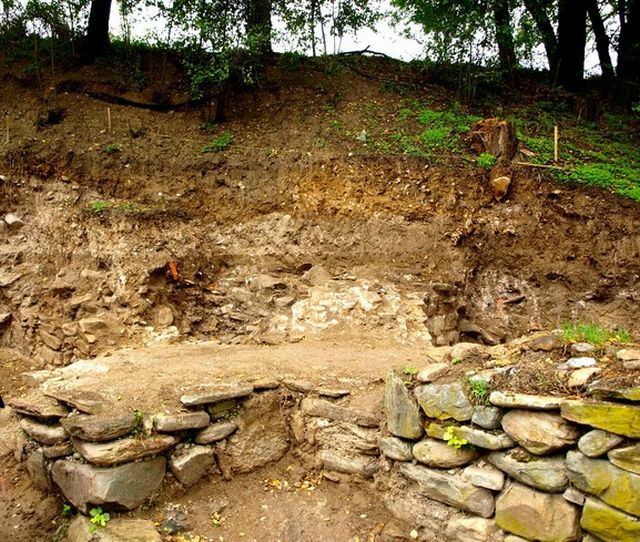 According to archaeologists, the architectural similarity with other major Early Christian churches in today’s Western Bulgaria indicates that the temple near Rakitovo may have been the center of a bishopric during the Early Christian period. The archaeological research of the basilica in Nikolitsa in Bulgaria’s Rakitovo Municipality is expected to continue in 2016. The St. Sofia Basilica is located in the downtown of the Bulgarian capital Sofia, and is said to be the oldest functioning church in Europe. It is a cross basilica with three altars featuring Early Christian ornamental or flora and fauna-themed floor mosaics. It was first built in the 4th century AD on the site of several earlier places of worship, which was also the site of the necropolis of the Ancient Thracian and Roman city of Serdica, even though it was rebuilt in the 6th century into its current form. This is believed to be the fifth structure built on the site. Its last reconstruction was during the reign of Byzantine Emperor Justinian I (r. 527-565 AD), which makes it a contemporary of the Hagia Sophia Chruch in Constantinople, today’s Istanbul. The St. Sofia Basilica is also famous for hosting the Early Christian Council of Serdica, probably held in 343 AD, and attended by 316 bishops. During the Second Bulgarian Empire (1185-1396 AD), it gained the status of a metropolitan church, and in the 14th century it gave its name to the city which had been known by its Slavic-Bulgarian name of Sredets. In the 16th century, after Bulgaria’s conquest by the Ottoman Turks, the St. Sofia Basilica was turned into a mosque with the destruction of the 12th century murals and the addition of minarets. However, two earthquakes destroyed one of the minarets in the 19th century, and the mosque was abandoned. It has been restored since 1900. In 2013, the ancient necropolis and tombs underneath the St. Sofia Basilica, some of which have murals, were turned into an underground museum.